decor | Kate Mahar writes . . . 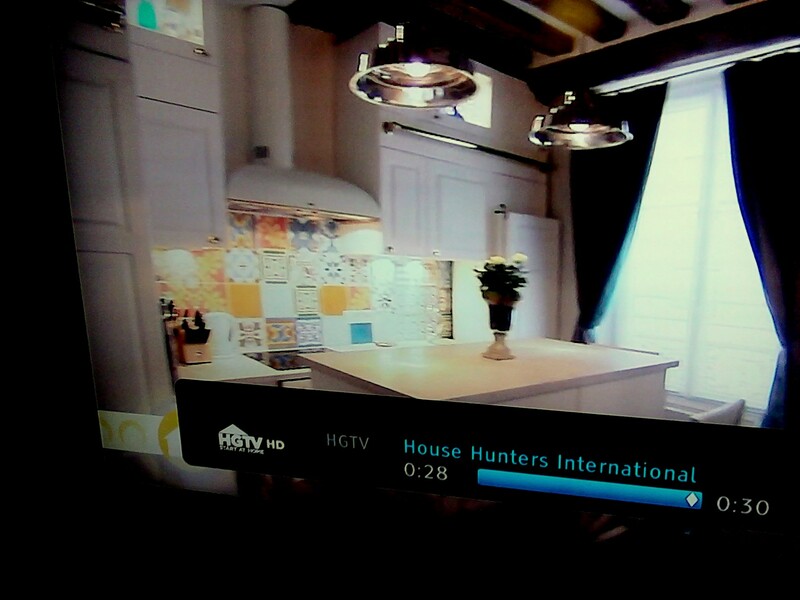 Okay, so my favorite show is “House Hunters International.” One of my favorites, anyway. I DVR every episode in Europe and while I thought I’d seen them all by now, I was thrilled to my toes to discover one in Paris that I’d missed. An American woman working as an attorney in Paris decided to stop renting and buy an apartment in the heart of the city. With her $500,000 US budget, the realtor was showing her one-bedroom, 400 square foot apartments in the Marais, a happening arrondissement, or district, of Paris. Yes. That’s what you get for half a mil in Paris. She ended up buying the smallest one because it had good bones (you can’t watch as much HGTV as I do without picking up the lingo, guys) and was on a lovely, quiet street, just steps from shops and cafes. Sigh. The last bit on every episode takes you back to the home buyer’s place a few months after the purchase. In this case, in about four months the woman had completely renovated the tiny flat (spending an additional $135,000) and it was a knock out. Not everyone would agree, I’m sure – but the decor was so appealing to me. I already have white kitchen cabinets, but the rest of the kitchen is a boring beige. Cheap beige counter top, cheap beige linoleum and white walls with no back-splash. I haven’t done anything other than the cupboards since I moved in 11 years ago. I tend to spend what money I have on TRIPS to places like Paris, rather than on the home decor I also, admittedly, covet. 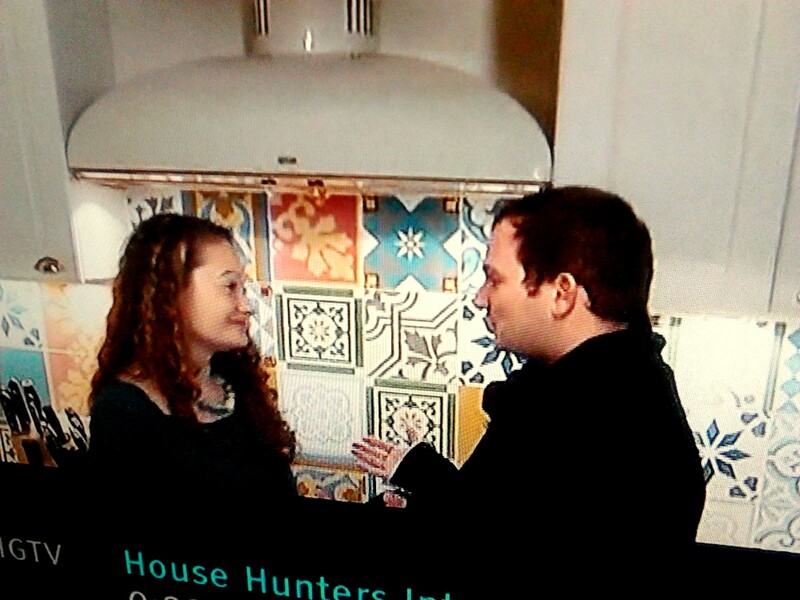 Anyway, here are photos I took from the TV of the tiles in her kitchen. “How do you like my tiles, Pierre?” she asked coquettishly. I want those tiles. I want my kitchen to look JUST LIKE THAT. “See how pretty they are up close?” she pointed out. 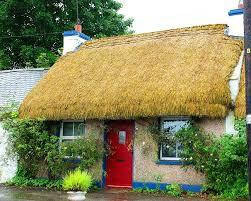 I also want to have a pied a terre in Paris, a villa on the Amalfi Coast and a thatch-roofed cottage in Ireland. Since I don’t buy lottery tickets, I don’t see any of this happening. Even if I did buy lottery tickets, it would be equally unlikely. 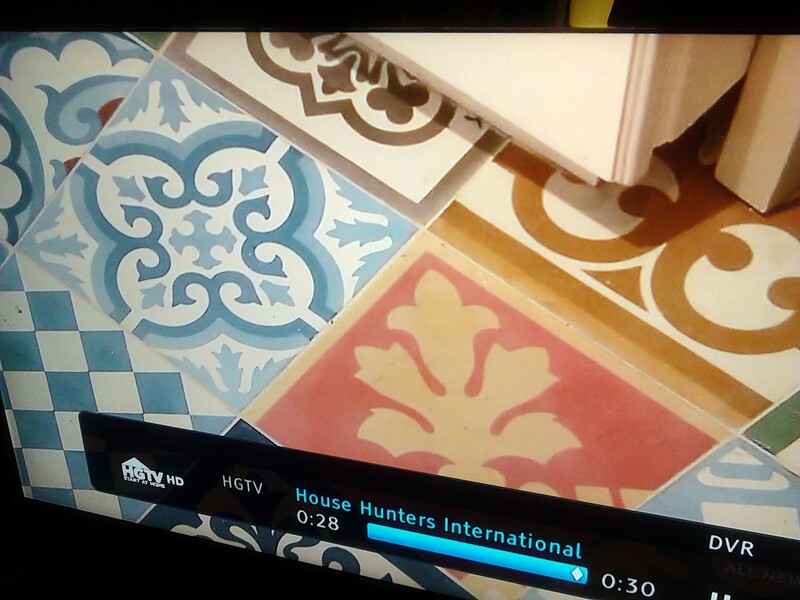 “Why, those tiles would even work in my Irish cottage,” I added. But maybe I can put colorful tiles in my kitchen at home. Mais, oui! What do you think?